Back by popular demand was Jay Pounders at Belcourt Taps on August 23, 2017. Jay previously performed at this trendy Tennessee venue on July 07, 2017. That show featured a partial reunion of his 80’s new wave band Crossfire Choir [#crossfirechoir]. Back in the day Pounders was poised and positioned to hit the big time. He had a video in rotation on MTV, a deal with Geffen Records, production by Steve Lillywhite and the group was managed by famed CBGB founder Hilly Kristal. Still, hair bands and later grunge along with their persistent and petulant punk attitude conspired against them to make sure that their shot at fame never quite found the crosshairs. Jay Pounders at Belcourt Taps. On the 23rd Jay was fronting a three piece. The trio opened with “Girl From Frayser” a catchy yet comical composition that mentioned Memphis and in closing Jay joked that Elvis had left the building. “Parakeet In My Pocket” showcased strong storytelling about a girl and getting drunk with Pounders adding some whistling to the mix. Jay revealed a more sensitive side on “Heaven” before alluding that some of his songs might be factual or fictional but it was us to us to decide if Jay was a “Creepy Old Guy”. Pounders invited Amanda Carson Riley to join him for a couple of songs. 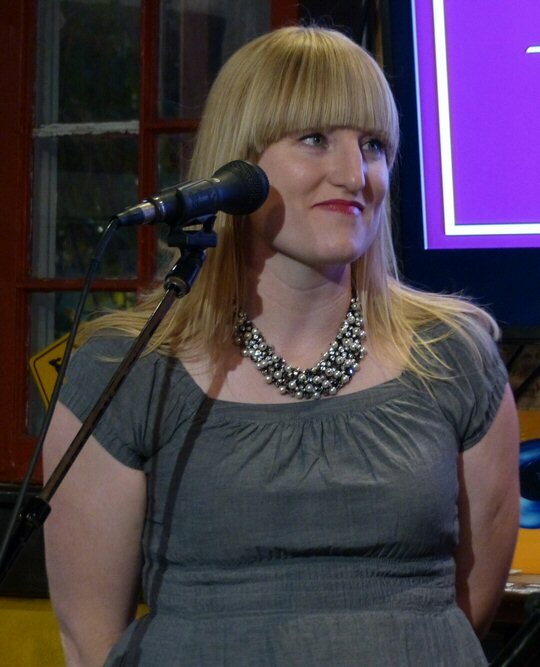 Amanda studied vocal performance at John Wood Community College. She added a sweet tone to the John Denver covers they had prepared for their mutual friend Marlene the ultimate JD fan but funny enough Marlene was not present because she had a Chris Janson conflict. They presented the classic “Country Roads” paired with “Country Boy” with Riley improvising boy with girl. The down-home tunes added diversity to Pounder’s generally rocking set list. Amanda Carson Riley at Belcourt Taps. Jay mentioned his MTV days before playing “Canary Song” from the band Crossfire Choir. “Strangers On Trains” was solid as was Jay’s dirty ditty entitled “The Finger” featuring some unusual tunings that flowed into the spirited “Stop Getting High”. For his last number Jay was joined by Nicholas Johnson who at one time attended the Berklee College of Music and is a well-respected guitarist in the music scene. 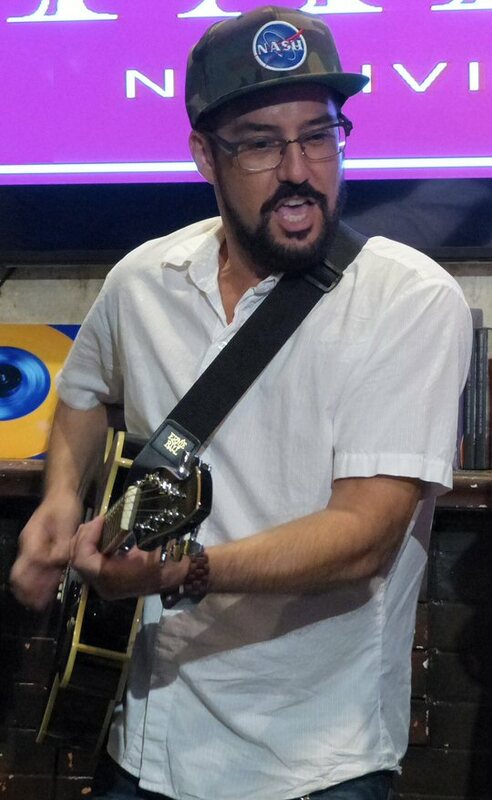 Nicholas added flair to the group’s fast and furious version of Johnny Cash’s “Folsom Prison Blues” that included a detour into “That’s All Right Mama” before returning to their feisty Cash rendition to close the night on a high note and perhaps creating a demand for another Jay Pounders appearance soon. 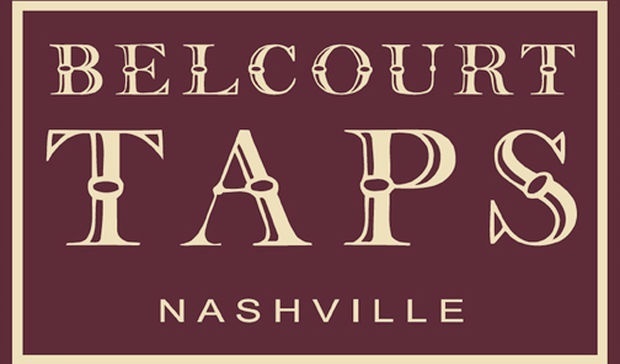 Belcourt Taps is a unique dining, drink and intimate live music venue located in the heart of Hillsboro Village in Nashville, Tennessee. On tap is a range of brews that can be paired with food items such as burgers, salads, tacos, and more. All of their beef and vegetables are locally sourced. 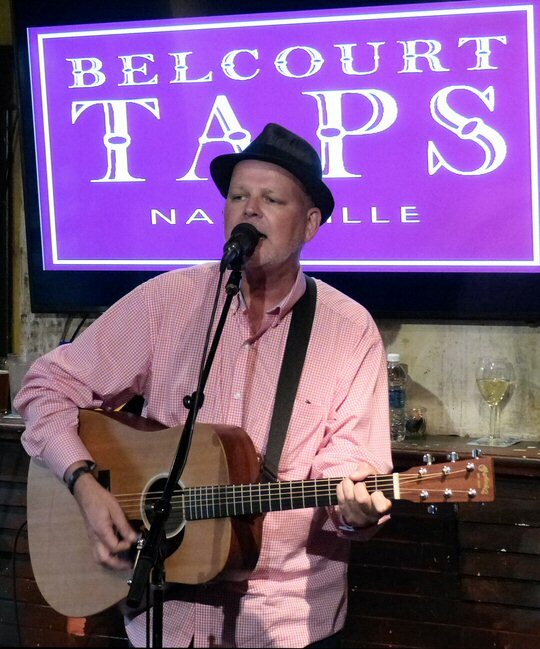 Belcourt Taps also supports area artists such as Jay Pounders by hosting live music regularly. Nick Johnson at Belcourt Taps.